By joining or renewing your Vital Ground membership today, you’ll support an urgent international effort to protect and connect wildlife habitat from Yellowstone into Canada. 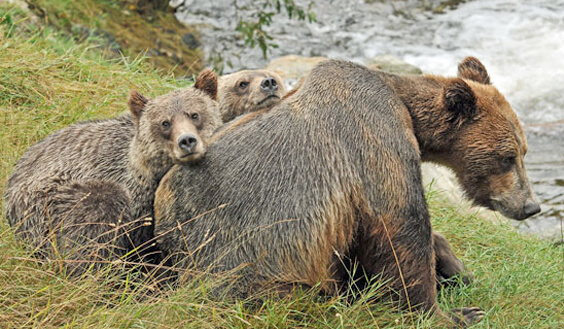 You’ll become a sustaining force in grizzly bear recovery and the push to protect wildlife connections and biodiversity. Free Vital Ground Tote Bags for New Members! For your gift of $35 or more, get a free Vital Ground bumper sticker and tote bag so you can show your support of grizzly bear and wildlife conservation! I'm a new member and would like a Vital Ground tote bag. We’ll keep you up-to-date with the latest news from grizzly country through our email and print newsletters! Your sustained membership improves Vital Ground’s long-term planning, helping us chart our path as conservation leaders. If you are having difficulty completing your donation, please call 1-406-549-8650 or email info@vitalground.org.